In light of our first Friday Fast on April 3rd, which also happens to be Good Friday, we decided post on what fasting actually is. So if you’re a seasoned faster, or just starting out, here are some good tips on picking and observing your fast. Fasting is the abstinence from all or certain foods or fluids (or some other appetite) for the sake of being spiritually fed instead. Fasting is often accompanied by specific topical or situational prayers (pleas for God to change or do something for an individual or group), and occurs frequently in the Bible in times of dire need for help. Notice from verse 30 that while the disciples speak to Jesus, the townspeople are approaching. After giving a theme sentence for fasting in verse 34 (“My food is to do the will of him who sent me and to finish his work”), Jesus directs the disciples to lift their eyes to see the field –the approaching townspeople! Jesus is telling the disciples that there is a feast right in front of them if they would just recognize the food which satisfies for eternity, from that which only fills the stomach for a few hours. This is fasting, and all Christians should follow his example. Through fasting, the contents of our hearts are made more visible. Through fasting, we imitate Jesus and meet his expectation that we do so. Jesus fasted himself (see Matthew 4:1-4). He commands that we take up our crosses and follow in his ways. Furthermore, Matthew 6:16-18, Matthew 9:15, Mark 2:19, and Luke 5:34 indicate that Jesus expected his followers to fast. As mentioned in Isaiah 58, true fasting is a matter not only of abstaining from food, but also of devoting oneself to God and being fed by Him. If we abstain from food so that people think of us as “disciplined” or “religious/spiritual/spirit-filled”, for dietary reasons, or for any reason besides devotion to God, we have missed the purpose of fasting and may even be offensive to God! This is the most important piece of knowing how to fast, for God searches the heart and is NOT impressed by how long you can go without eating. When fasting, one should take the time which would have been spent preparing and consuming food to do God’s will, whether in ministering to others or in praying, Scripture reading, etc. Fasting in the Bible is often linked with surrounding circumstances and/or particular requests, such as when David fasts for his son to be saved (2 Samuel 12:15-22), when Ezra proclaims a fast for safe travel (Ezra 8:21), and when Nehemiah fasts after learning that Jerusalem’s wall is in disrepair (Nehemiah 1:4). Going into a fast with a clear request or topic in mind is therefore Biblical and advisable. For example, you may fast for God to bring revival to his campus or your city, save a dear friend or family member, purify your heart from a cyclical sin in your life, etc. This could be done by spending time in prayer for the issue, doing something which works toward the goal, or a mixture of these and other ways. So, Exactly How Do I Fast? The Full Fast, Total Fast, or Water Fast – by far, this is the most common type of fasting in the Bible. It entails drinking only water and consuming nothing else. The Absolute Fast – this means not consuming food or water of any kind. Biblically, these are far less common than total fasts and are done for short periods of time and in times of desperate need (Esther 4). Deuteronomy 9:9 is one of a few examples of a long absolute fast and is traditionally considered supernaturally-aided. The ‘Daniel Fast’ – this entails consuming only vegetables and water (see Daniel 1:1-16). While it is possible that a diet of only vegetables could be better for health, many consider that the good health of Daniel and his fellow Israelites was provided miraculously by God as a sign to their guard and king Nebuchadnezzar and to enable these men to abstain from defiled food. This story is the only time this diet is mentioned in the Bible, and the text does not call it a fast or encourage others to practice it. There are other common types of fasting (juice fasts, no-meat fasts, no solid food fasts – this would allow for meal replacement drinks or some soups) which are distinct from mere dietary restrictions (no fish, no sweets, no dairy), and there is truly much freedom to select fasts with a clear conscience. As with most things, beginners should start small, with 1- to 3-meal fasts. These can be done for segments of the day (fast from 6a – 6p, for 24 hours, etc. ), by typical meal designations (skip dinner one night, then do not eat until dinner the next night), or in other ways. Consult with the Lord, pick your fast and join us this Friday! 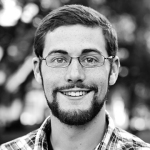 Charlie is a new addition to the Campus Renewal team, coordinating ministry work at The University of Texas at Dallas, where he graduated with a B.S. in Electrical Engineering last May. He is newly married to his high school sweetheart and enjoys reading and practicing speaking German in his spare time.